SKU: SC LS411. 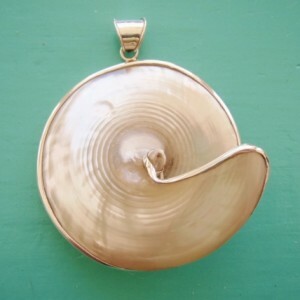 Categories: Mother of Pearl, Pendants, Sea Shells. 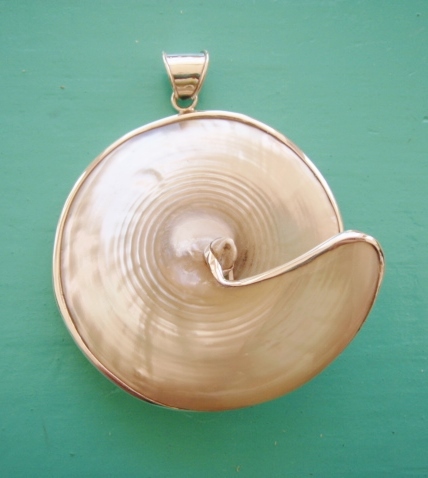 One of our most popular pendants, this Mother of Pearl Trochus Pendant is made by taking a slice of the bottom of a Trochus shell and then wrapping 925 Sterling Silver around. Not only is the seashell itself stunning, but the iridescent kaleidescope of colours in the Mother of Pearl are breathtaking. 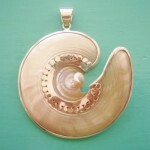 This Trochus pendant sits beautifully on a silver choker, but is equally at home on a chain or leather cord. Such an eye catching piece. Take a look at our Mother of Pearl earrings to find the perfect match to complete the look.